Hon. Oladipo Olaitan, the National Financial Secretary of Afenifere, the apex Yoruba socio-cultural body was at the inception of the Fourth Republic, the leader of the Alliance for Democracy in the House of Representatives, a prime position that gave him opportunity into the affairs of the nation at that time. Before then, the lawyer turned politician and property tycoon had served Governor Lateef Jakande in Lagos State in various capacities between 1979 and 1983 including as Political Adviser, Security Adviser and Legal Adviser. In this interview he gives the Yoruba perspective of the crisis that prompted the mass defection of NCNC members to the AG on the floor of the Western House of Assembly in 1951, why the Yoruba are standing with the Igbo against the expulsion threat by the Arewa Youths, why AD members stood with President Olusegun Obasanjo against alleged conspiracies weaved by his deputy. 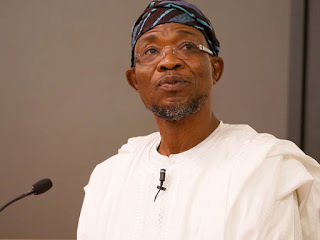 The Osun born politician also ventilates his position on the pace and pattern of governance in his home state with a damning prediction on the prospects of the incumbent governor of the state, Ogbeni Rauf Aregbesola. What prompted your career choice in law and politics? When I was growing up, there was this practise of some officials going to waylay farmers on their way from farm, and they would round them up and take them to the D.O’s (District Officer’s) office for the offence that they had not paid their taxes. It was horrible. Some of them (illiterates) would have their tax papers, but the officials would not even give them the opportunity of showing their tax papers. They would take them to the D.O.’s office, collect some money from them and then release them. I was growing up, and I didn’t like it, and I was looking for a way I could do something about it. That gave me the idea of wanting to be a lawyer, so I could be able to help these people. Growing up, I saw Zik campaigning; I saw Awolowo campaigning. In fact, Awolowo used to stay in my father’s house in Ikare each time he came to Ikare. So, I got close to them and used to watch them during their campaigns. So, I loved it. These people could impact upon human beings around them, so I grew up with wanting to either be a lawyer or a politician. To the glory of God, I qualified as a lawyer at London University in 1970. I was called to the bar in 1971. Remember, it was a military regime at that time. I stumbled at a meeting in Jakande’s house; one of those underground meetings that they were holding in those days. I sat at the back, and they were discussing how to have party cards, and the question was, ‘how do we number the party cards, say Agege, Ikorodu, Ikeja?’ They couldn’t figure it out, and I put up my hand and said why don’t we do it this way? Let’s put alphabets before the numbers say, Agege – A1234, then B to Ikeja. That sounded novel to Jakande who I had never met before then. So when we finished the meeting, he called me and asked if that was my first time of coming to the meeting and I said yes. He then enquired about my profession, and I told him I was a lawyer, and he said ‘come to these meetings regularly,’ and that was how I met Jakande and ended up being Special Adviser on Political Affairs in 1979. He believed so much in me. I was special adviser on political affairs, and anytime there was trouble anywhere in government, I was assigned there; I was put in the Governor’s Office. We had a running battle with Bishop Okogie in those days because we were taking schools off the missionaries. Okogie refused and took us to court on the basis that the Constitution allows him to impart knowledge. Each time we went to court, he won, and we lost based on the claim that he was imparting knowledge and that he could not be denied that right. I walked to the governor’s office one day and said we don’t have to fight about this and told him that the law gives us the right to give rules and regulations for establishing new schools. Okay, Okogie follow the Constitution, establish schools, but you have to take the rules for establishing schools from us. If you want to establish schools in Lagos State, you must have a standard Olympic Swimming Pool, you must have a standard football pitch and that until you fulfilled these requirements you could not establish a school and that was how we defeated Okogie. Jakande couldn’t believe it, and that was how I was moved from being political adviser to legal adviser and we were shut out of power in 1983. After 1983 we went into our private businesses until 1992 when Abiola came around. I was very, close to Abiola. In 1993, I contested for the Senate in Lagos here with Tinubu, Odi Onikosi of blessed memory and Dominic. Tinubu was just coming into politics at that time. On the day of that election, we were all filed up, you know it was Option A4. Sarunmi was the person we knew as nobody knew Tinubu then, so Sarumi stood in front. Sarumi was the head of their group then known as Primrose. It started to rain so heavily that the electoral officers asked us to go home, but to our chagrin, some people came back, and they were counted, and the rest is history, and that is how Tinubu emerged as a senator, and we all left it. That is when also Bucknor-Akerele also emerged with four votes at the Island. We all went home until 1999 when AD (Alliance for Democracy) came. When the AD came, I, by the grace of God won the election to the House of Representatives under Afenifere. Afenifere was the rallying point for all of us, but no sooner than we all won the election, everybody started to have peculiar interests. Idiosyncrasies of each person started to play out, and then some people were either with Tinubu or with Afenifere. I stayed with Afenifere and will never bite the finger that fed me. I have nothing against Tinubu, absolutely nothing, but I just could not…it was difficult for me to understand that I would abandon my old ship and join another person. That was how the little difference emerged, and we were carrying on and carrying on, but in the party we knew ourselves. You were either for Tinubu or main Afenifere, and I was known to be main Afenifere. Of course, he who pays the piper dictates the tune. 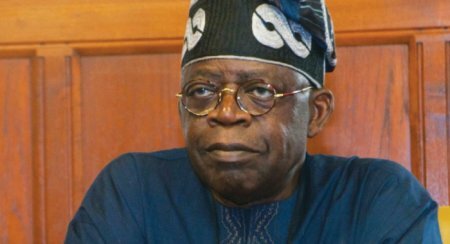 Tinubu being the governor, he would say he is the leader of the party and had the presence of those he says believed in him and by his own calculation, I could not have believed in him if I would still stay in Afenifere. Naturally, when people were to be returned, I was not returned because I did not belong. And up till today, I thank God that I am the National Financial Secretary of Afenifere and if my race gives me a particular position to hold for them, I will believe that I am holding it in trust for them. Like when I was in the National Assembly I saw myself as leading the Yoruba Race in the National Assembly. I did, it wasn’t easy, but I did it. Do you see the Yoruba Race as endangered under the current dispensation? We have always been endangered from time immemorial. Even Luggard didn’t like us from amalgamation. They didn’t hide it because when the colonialists came, with tremendous respect to the minorities, they saw three of us – they knew the Hausa very well, and they didn’t hide it, and in some of their declassified documents, they wrote that they were uneducated and could be pushed around, so they had no problem with them. The Yoruba were educated and were asking why are you doing so so and so to us, why are you not doing this, so they didn’t particularly like us; so we have been an endangered specie from the beginning. That is us; we stand up for what we believe. Yes. Up till now. There was a clarion call from Arewa Youths saying that the Igbo should quit the North from 1st of October and immediately, Afenifere said to them that if you ask the Igbo to leave, you are asking us to leave. But they didn’t ask the Yoruba to leave? But the Yoruba joined the North to fight the Igbo in the civil war? That is very unfair. We did not join the Hausa to fight the Igbo. What happened was this, when Ojukwu decided to leave, Awolowo went to Ojukwu, took all the risk and said ‘my brother don’t do this, let’s stay in this country and restructure it. What they may be doing to you may not be fair, it is not that we are happy about it ourselves, but let’s stay in there and sort it out. That is how the question of Aburi came about. So we now went to Aburi to try and sort it out. The soldiers of East origin would go to the East, soldiers of Western origin would go to the West, and soldiers of Northern origin would go to the North. We came back. It was Gowon who reneged. When Gowon reneged, Awolowo again went and met Ojukwu and said, we don’t need to fight a war, but Ojukwu said his mind was made up. At first, Awolowo played this card and said, (to Gowon) look, if you by act of omission or commission you make Ojukwu to leave, then we will leave. What he was saying was that if you force them out, you treat them as low people, then we will say you are saying it to us as well. This thing has to be mutually agreed. Till today we don’t consider the Igbo wanting to leave as treasonable because that is the essence of democracy – self determination. But Awolowo was understood to have said that if the Igbo left that the Yoruba would also leave! Yes, by an act of omission or commission, that if you force them out and that you must do everything to encourage them to stay. Ojukwu has the right to self-determination. Between 1967 and now what has changed that the Yoruba are now partnering the Igbo? Afenifere is saying that if Nigeria were to break into a war that the Yoruba will not join the North unlike what you did in 1967? You got it wrong again. We did not join the North; we were in Nigeria. Ok, will you stay in Nigeria to fight the Igbo? Nothing has changed besides the question of self-determination. You see, this amalgamation, we were nations brought together, and you cannot force us to be together. We can talk about it to stay together, but you cannot force us to stay together. We hold that as sacrosanct. If the Igbo decide to leave as they are saying and we are persuading them not to, and I am a member of the Southern Leaders Forum, and our decision is that we must try and salvage this nation but on the basis of justice and fair play. What do you consider justice and fair play? For those of us who were born before 1966, we remember that Western Nigeria had its Constitution, the North had its own Constitution, and the East had its own Constitution. We developed at our own rate and pace, there was heavy competition between the trio, and that is simply what we are talking about. Let’s go back to what Ironsi took away from us. It was Ironsi who messed this up. It was Ironsi who suspended that Constitution and all we are asking is, go back to that Constitution. Let us go back to what Ironsi took away from us! Why should the North agree to that given its electoral advantages in federal constituencies? Why should I not lock my door and not allow a thief to come in and take my things? Tell me! Why should they continue to ride roughshod on me and I continue to be happy? We are saying no. In truth and indeed, nobody wants to be at a disadvantage anyone in this equation. North was growing at its own rate and used to have groundnut pyramids in those days and what is stopping them from continuing? Because of oil?